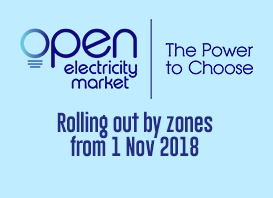 As the regulator, EMA issues licences to companies involved in the generation, retail and transmission of electricity; provision of market support services and operation of a wholesale electricity market. These companies each play a different role in ensuring that homes, offices and industries enjoy a competitive, secure and reliable supply of electricity. Find out who are these licensees. Under the Electricity Act, the EMA may exempt any person or class of persons from complying with the licensing requirement. Such an exemption order will be published in the Singapore Government Gazette. For current Exemption Orders, view the Attorney-General’s Chambers website. EMA also issues licences to electrical workers who are qualified to work on electrical installations. This ensures that electrical installations are safe. If you are or wish to be an electricity worker, apply for and renew your licences here.